The Equinox Fashion: Korean Sensation x "Rocket X Lunch"
Korean Sensation x "Rocket X Lunch"
"이 콜라볼레이션은 지난주에 디자이너로 부터 크롭탑 이랑 치마를 받은 "rocket x lunch" 이 하는 콜라볼레이션이에요. 나는 내가 제일 좋아하는 플로피헷 이랑 웨지로 크롭탑과 스커트랑 같이 매치했어요"
First time of The Equinox Fashion with Korean based brand designer "Rocket X Lunch"
For me, founder and fashion blogger of my own blog #The Equinox Fashion I have been searching for brands and reaching toward wide variety of collaborations in order to spread my sphere and the brands themselves. Almost two years, I have elevated this blog step by step, from Bangkok, Thailand to London Fashion Week and now collaborating with brands. because I want to put what I have built from scratch to be the fashion company in the future. It takes time but if you do it everyday, I believe that human's brevity and enthusiasm can win over the road blocks. 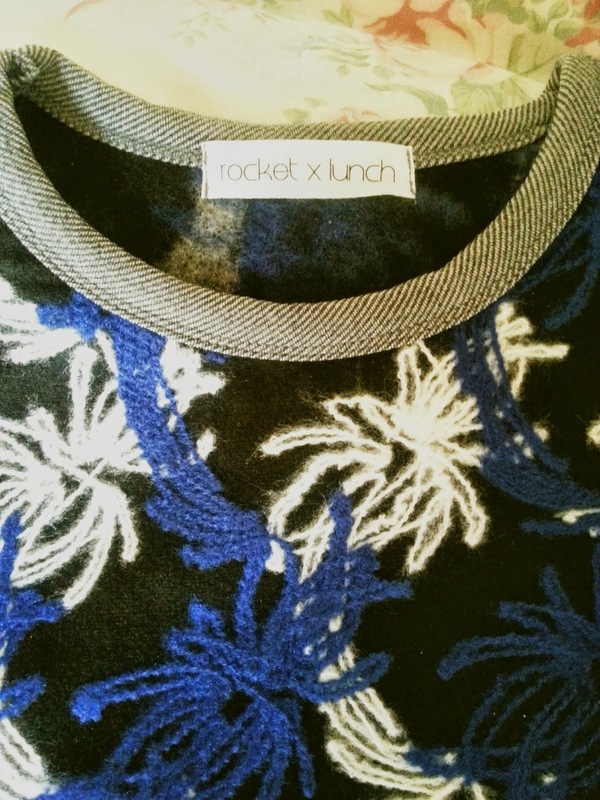 And this time, It's my pleasure to introduce all my readers and followers to Korean clothing brand "Rocket X Lunch" which is my first time collaborating with Asian designer, also publish to the media network as well. Korean fashion industry has become one of the greatest influences not only in Asian but also in America and European countries. 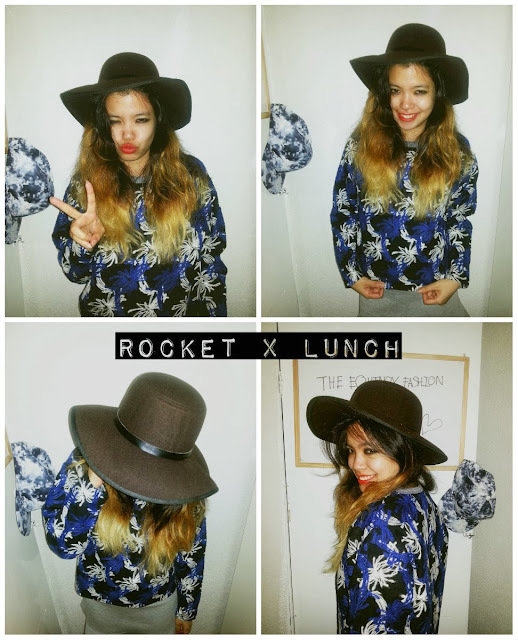 Therefore, I was really stoked when I received a feedback from Rocket X Lunch's brand manager! My outfit today is from Rocket X Lunch included crop top and skirt. I boost up the look with Minnie stocking and wedges purchased from thrift store in London. The items has been made from high-quality fabrics and also be able to be layered during Winter too. I love the texture of my crop top and its colour, also the skirt silhouette is just too cute :) Having them in wardrobe is quite versatile since you can bring them out and create the look in any seasons. 로켓런치(Rocket X Lunch)의 아주 예쁜 옷을 보내주셔서 대단히 감사합니다. 그리고 패션에 관심이 있으신 분 제 페스북과 lookbook.nu 페이지를 방문해주시기 바랍니다. 감사합니다. Such a cool outfit:) Love that skirt. aww thank you so much Emmy! you rock ! You look great! Loving your top dear! Thank you for stopping by! I want your sweatshirt and your skirt, and your sock! Love all about this look! You look great love the skirt great job with the blog. Effortlessly stylish; I adore your unique look! What a gorgeous print! Love your styling! 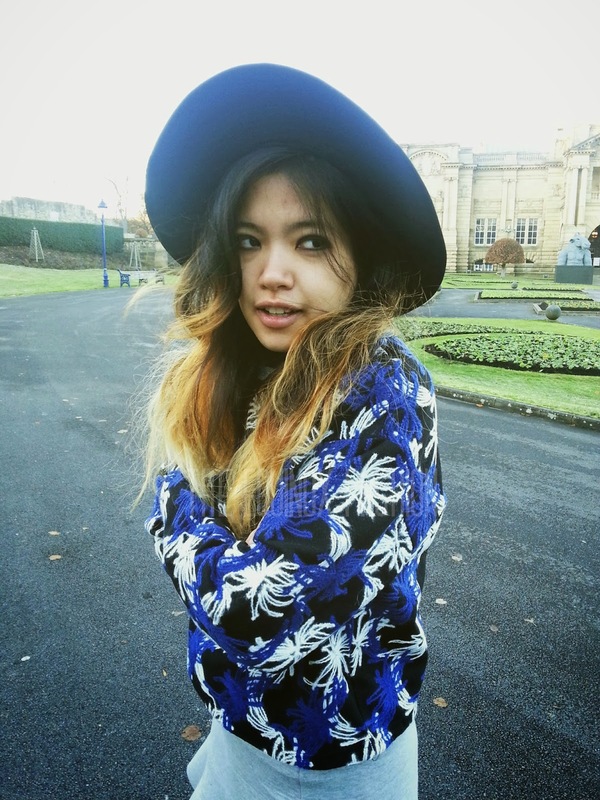 thanks for sharing about the Korean designer, looks like an intricate pretty sweater that reminds me of a vintage workmanship. Lovely nylons and shoes!! Really lucky collaboration! I adore the sweater, definitely one of a kind =) And that jacket is amazing as well! great outfit... I love your leggings!!! Love your pictures ! Your style is amazing !!! OMG! This is how i love to rock! You look amazing, love your jumper and skirt,You combination is Wow! Lets be real,You freaking smashed this look love it Gail! Cool outfit! I love your hair! Do you have tattoos on your legs? Your outfit is perfect! I love the skirt! And I also like your coat! Sounds like such a great company! I will check them out! 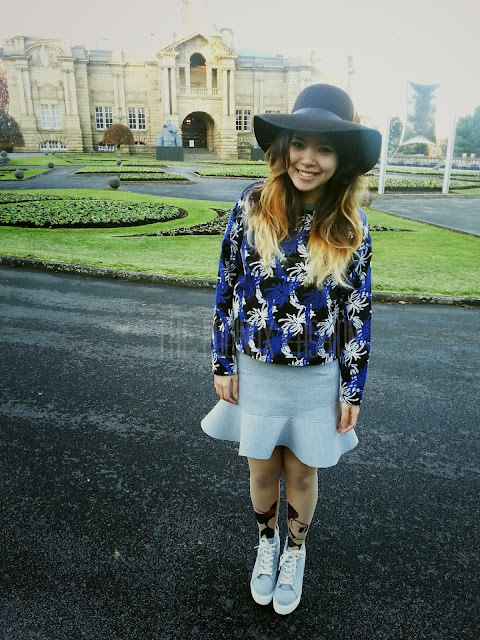 I adore your skirt and the way you styled it! The hat is perfect! will definitely be checking out rocket x lunch! Wow, your outfit is so cool and I´m in love with the shirt! 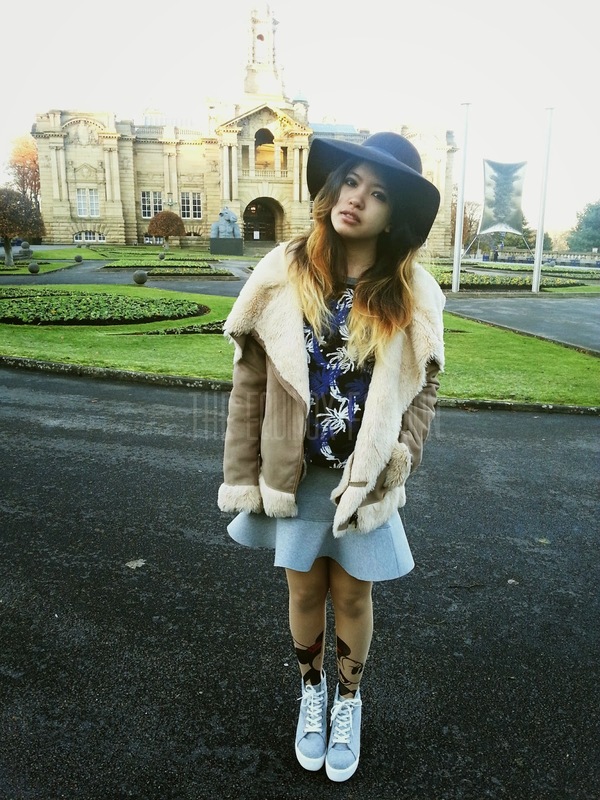 Such an awesome look, i love the printed tights! 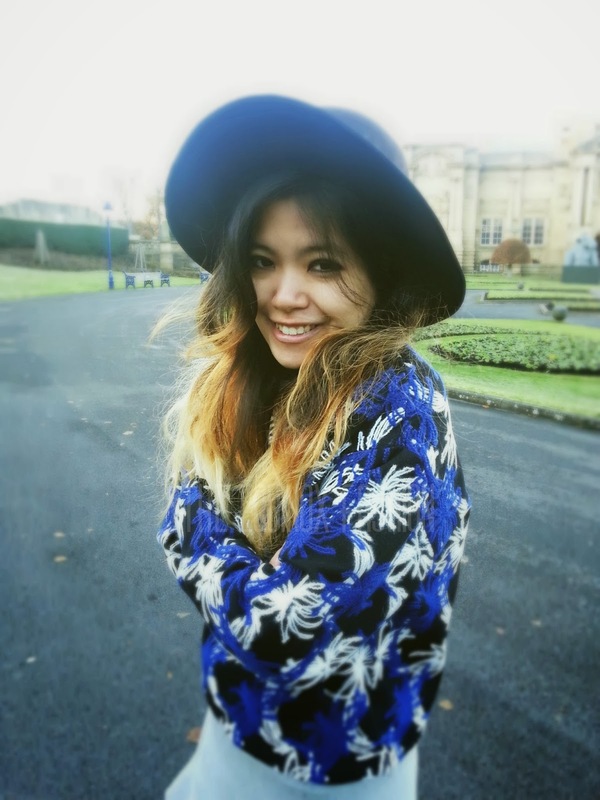 Your style is such a delight, thats the prettiest top and love how you accessorized, the hat is adorable! Awesome sweater, I love how you paired with that skirt! You look absolutely adorable today, I love your jumper! Love the sweater and the skirt is so cute! I love this top, you look so cute! Cool sweater and I love your skirt! What an amazing opportunity :) That sweater is such a must for this season!! I´m soooo in love with your hat right now! lovely pics, doll. I've seen you comment on my blog and for that, thank you so much! I feel so happy when people read my blog and like things I wrote about. you have amazing style, I adore this look! you pull your outfit perfectly! You look so stunning cute in that! This jumper is the best!! I love it so much with the skirt! i love that top! and the skirt is super cute too, i will have to check out this site! Congratulations sweetie! It's so inspiring seeing that it is possible to develop your blog, make it well known and have collaborations. Both the sweater and the skirt are gorgeous! They look really nice and high quality ones! Love your jacket.x So pretty! This is such a cute outfit!! I really love both the sweater and the skirt!! The sweater is so unique and I would it wear it myself! Lovve the print of the top. Amazing! Love the mickey mouse tights! 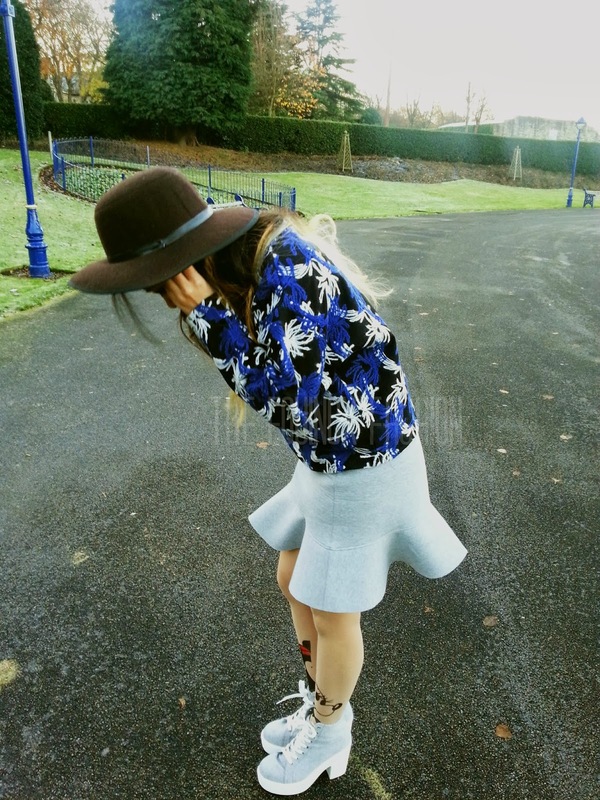 Love this outfit post so much sistaaa! That top and skirt is my faves! <3 You've come a long way, and keep going with what you're doing, hopefully one day we can make and share more amazing moments together! Miss you lots!! Have a good day ka, speak soon! 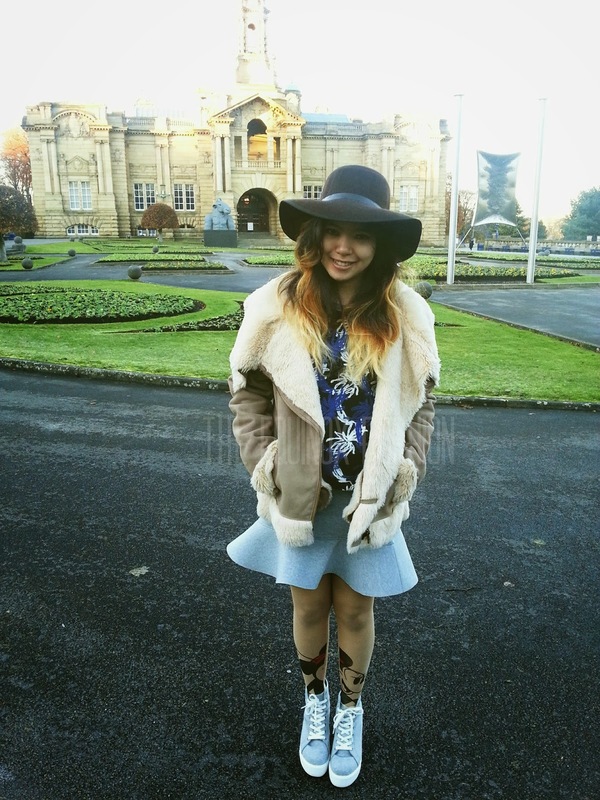 Awesome outfit, especially the hat and shoes! Oh the shape of that skirt!! That's the best example of that type of skirt I have seen. Your hair is amazing too! Such a great ombre pretty lady! Awesome! This is so you!! You look fantastic, I really like your skirt, so cute. Passing to wish a great day! Such a cool outfit! Amazing top!